From the earliest beginnings of Unitarianism and Universalist (however one identifies the "beginning") the ideas that went into and came out of the development of UU religion had political implications. Unitarians, Universalists, and their ideas were major influences in the founding of the US political system and on US religion and culture. This is about personal transformation. Our ability to create social transformation is linked with our willingness to go through personal transformation in the process. How can we expect the world to change if we‘re not willing to? We learn from reflection. Educator and writer Paulo Freire, author of Pedagogy of the Oppressed, argued that we learn not from action, but from reflection on action. The cycle of action-reflection is often referred to as "praxis." We need strong relationships. The more we are in relationship with each other, and approach social justice in ways that value this relationship, the better off we‘ll be as a community. This type of sharing, namely personal, ethical, emotional, spiritual, and/or theological, is necessary both for effective justice work, and for personal and congregational development. An effective social justice plan will include balance among these five types. Education: Classes and collective study of the complexities of a social issue. We have to know what we're taking about. Organizing: Forming coalitions with other UU congregations, with other faith institutions, and with secular organizations is crucial both for our own learning and transformation and for maximizing our effectiveness in the world. Witness: Using the media; publicizing the issue and our efforts. Forms include: advertising, unearned coverage (coverage we might get without taking any steps to get it), and earned coverage (coverage we get due to intentionally seeking coverage). Unitarian Universalist congregations should determine social issues to work on based on Grounding, Accountability, Fit, and Opportunity. Grounding: Does the issue have authentic and deep Unitarian Universalist roots? Does it link to the current identity and theology of Unitarian Universalists? Theology – What is the spiritual, philosophical, historical, and ethical basis for our position? Worship and Congregational Life – What is our members‘ engagement on the theme in the congregation? Social Action – Is there historic and current UU engagement on the theme in the public arena? Accountability: Is the issue of concern to marginalized groups in the congregation and in the community? Can the congregation be an effective and sensitive ally? Is the congregation educated about how the issue impacts marginalized communities? Can reconciliation and right relationship be an outcome of working on this issue? Are there opportunities for dismantling institutional oppression? For systemic reform? For reparations? Informed and Inspiring Leaders – Are there Unitarian Universalists who are or could publicly represent a UU perspective on the theme? Institutional Resources – Is there a task group devoted to the issue? Has the minister spoken out? Is there money available for the effort? What UUA offices, committees, affiliates, publications, curricula exist to support the congregation in taking a position? Partners – Are there national and/or local interfaith and allied organizations the congregation or UUA has a history of partnership with or that are actively seeking partners? Opportunity: Is there likelihood that the congregation can be a respected participant in the public dialogue on this issue? Are there allies the congregation can work with? Are there debates in the public arena, proposed legislation that Unitarian Universalists can influence? Relevance in News and Public Dialogue – What is the degree to which the theme is or could become a meaningful factor in news coverage or public debate? Other Voices – Congruent: What religious and secular organizations share our views and are vocal? Other Voices – Contrary: What religious and secular organizations oppose our views and are vocal? Excerpted/adapted from Inspired Faith, Effective Action: A Social Justice Workbook for Unitarian Universalist Congregations. CLICK HERE. This Sunday, musical guest Konrad Chan treats us to rarely heard music for harmonica. Consider arriving at 10sm for a special Music for All Ages at which Mr. Chan and Music Director Adam Kent will discuss the harmonica and its particular place in Hong Kong musical training. Read on for biographical and programming information. Born in New York but raised in Hong Kong, Konrad Chan has been actively performing for 11 years on the harmonica. He has won numerous awards in both solo and ensemble categories during the Asia Pacific Harmonica Festival 2008 and 2012. Currently residing in Brooklyn, Chan is finishing his double major in Music Composition with composer Wang Jie and Piano Performance with Dr. Adam Kent. To take any steps toward your own well-being, you have got to be on your own side. Not against others, but for yourself. For many people, that's harder than it sounds. Maybe you were raised to think you didn't count as much as other people. Maybe when you've tried to stick up for yourself, you've been blocked or knocked down. Maybe deep down you feel you don't deserve to be happy. 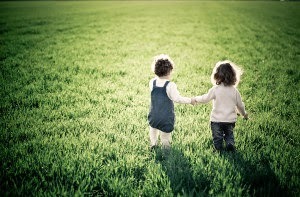 Think about what it's like to be a good friend to someone. 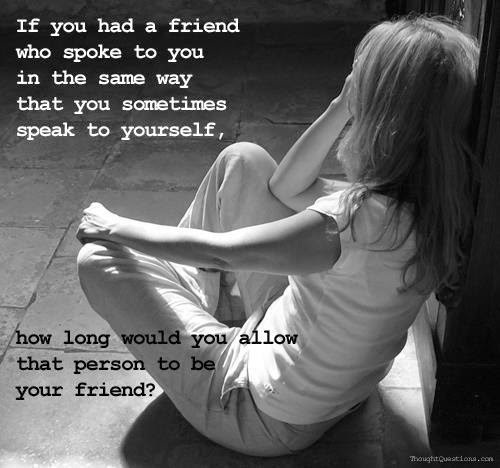 Then ask: Am I that kind of friend to myself? If not, you could be too hard on yourself, too quick to feel you're falling short, too dismissive of what you get done each day. Or too half-hearted telling others what you really need. Or too resigned to your own pain, or too slow about doing those things -- both inside your head and outside it, in the wider world -- to make your life better. Plus, how can you truly help others if you don't start by helping yourself? The foundation of all practice is to wish yourself well, to let your own sorrows and needs and dreams matter to you. Then, whatever you do for yourself will have real oomph behind it! Bring to mind the feeling of being with someone who cares about you. This will help you feel like you matter and have worth, which is the basis of being for yourself. Recall what it feels like to be for someone. Perhaps a child, pet or dear friend. Notice different aspects of this experience, such as loyalty, concern, warmth, determination, or advocacy. Let the sense of being on someone's side be big in your awareness. Let your body shift into a posture of support and advocacy: perhaps sitting or standing a little more erect, chest coming up a bit, eyes more intent; you're strengthening the experience of being for someone by drawing on embodied cognition, on the sensorimotor systems in your brain that underlie and shape your thoughts and feelings. Recall a time when you had to be strong, energetic, fierce, or intense on your own behalf. It could be as simple as the experience of the last part of an exercise routine, when you had to use every last ounce of willpower to finish it. Or it could be a time you had to escape from a serious danger, or stand up for yourself against an intimidating person, or doggedly grind out a big project in school or work. As in the bullet point just above, open to this experience and shift into embodying it so it is as real as possible for you, and so that you are stimulating and thus strengthening its underlying neural networks. Imagine having this same sense and stance of loyalty, strength, and caring for yourself today. Be mindful of what it feels like in your body to be on your own side. Open to and encourage that feeling as much as possible. Notice any resistance to it and try to let it go. Ask yourself: Being on my own side, what's the best thing to do here? Then, as best you can, do it. Being for yourself simply means that you care about yourself. You wish to feel happy instead of worried, sad, guilty, or angry. You want people to treat you well instead of badly. You want to help your future self -- the person you'll be next week, next year, next decade -- to have as good a life as possible. Your experience matters, both for the moment-to-moment experience of living and for the lasting traces that your thoughts and feelings leave behind in the structure of your brain. It is moral to treat people with decency, respect, compassion, and kindness. Well, "people" includes you! 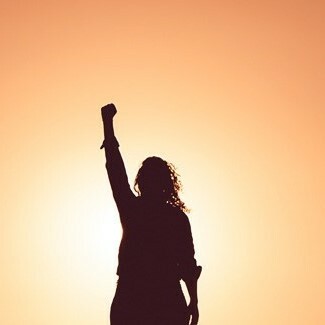 You have as many rights, and your opinions and needs and dreams have as much standing, as those of anyone else in the world. When you take good care of yourself, then you have more to offer others, from the people close to you to the whole wide world. At the end of a day, write a self-assessment: how did you do at being for yourself today? (Can you be for yourself even as you compose this assessment?) Which of the strategies suggested will you try tomorrow? Class on the 2014-15 "Common Read"
All Westchester Unitarian Universalists are invited to participate in a discussion class on the UU "Common Read." The class will be facilitated by Rev. Meredith Garmon (of Community Unitarian Church at White Plains) and Rev. Peggy Clarke (of First Unitarian Society of Westchester; in Hastings). No need to register. Just show up! About the UUA Common Read: A selection committee including both headquarters and field staff of the UUA is charged each year to discern the most useful and appealing offering for congregations and individual Unitarian Universalists. Last summer, the committee thoughtfully considered the 14 books nominated for the 2014-15 Common Read. Last Aug, they announced their choice. 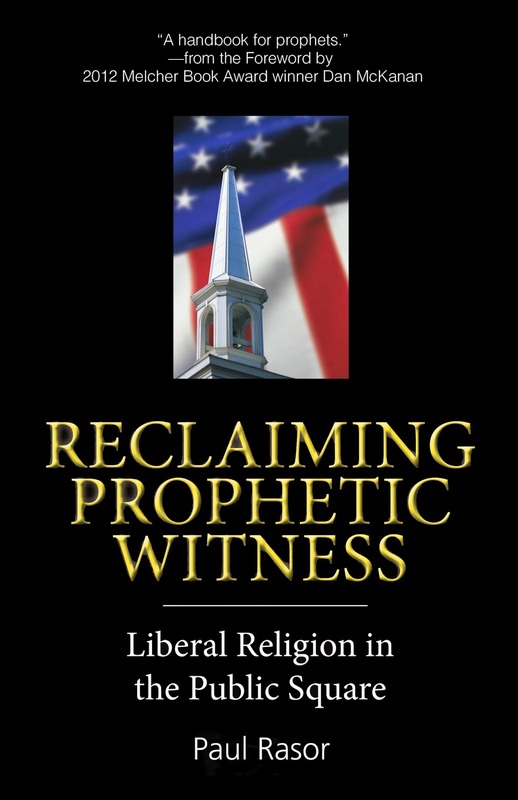 In Reclaiming Prophetic Witness, Rasor argues that conservative Christianity is not the only valid religious voice in our national social policy. His book invites Unitarian Universalists to explore and claim our contribution, as religious liberals, to the pressing moral and ethical debates of our contemporary world. This elegantly written, 105-page book, is a gem. Rasor observes that many liberals are uncomfortable with talking about our faith as the well from which spring our social justice commitments. The book includes insights from our theological heritage and our history that have bearing for us today, and calls us to prophetic, faith-based justice work. To read Rev. Meredith Garmon's sermon, "Reclaiming Prophetic Witness": CLICK HERE. The UUA Common Read began as part of long-range preparation for the 2012 “Justice” General Assembly. Join us this Sunday, when CUC’s Choir is on hand to perform seasonal music as well as a traditional song from Ghana. In addition, Choir Accompanist Georgianna Pappas provides jazz-inflected arrangements and improvisations on standards and African-American spirituals. Read on for programming details. Our Committee is charged with identifying nominees from the members of our congregation for election to the CUC Board of Trustees at our Annual Meeting in June. CUC has an eleven member Board of Trustees made of 9 regular Trustees who serve a three year term and a Secretary and a Treasurer who each serve a one year term. This year we have a new process by which nominee suggestions can be submitted. If there is someone you think would make a great addition to the CUC Board of Trustees, please fill out and submit a Nomination Application Form. The form requests relevant information, such as a member’s participation at CUC and demonstrated leadership ability. One can self-nominate. The nomination application form is available on our website (CLICK HERE), and from members of the Nominating and Leadership Development Committee. We encourage you to discuss your suggestions and any questions you might have with any of the six members of the Nominating Committee. All nomination application forms are due to our mailbox in the church office by January 31. Thank you for your participation in this important process. Try this with your spouse -- or a prospective spouse. Or try it with any friend if the two of you are game for being drawn closer together. It's a remarkably effective procedure for two people to develop closeness in a about an hour or two. For people on a first date, the process almost always makes them feel better about each other and want to see each other again. There are two parts. First, there a series of 36 questions for each of you to take a turn answering. The questions start out fairly impersonal, but gradually draw out more and more of you. Each question builds a sense of safe sharing to facilitate subsequent questions. This part by itself will take an hour or two -- depending on how much detail your answers go into. The second part will take exactly four minutes. Arthur Aron of the Interpersonal Relationships Lab at Stony Brook University in New York developed this exercise and tested it on a number of pairs. His results are published in "The Experimental Generation of Interpersonal Closeness," Personality and Social Psychology Bulletin (1997). Aron's list of 36 questions is in a "Psychology Today" web posting: CLICK HERE. 3. Before making a phone call, do you ever rehearse what you're going to say? Why? 23. How close and warm is your family? Do you feel your childhood was happier than most other people's? 25. Make three true "we" statements each. For instance, "we are both in this room feeling..."
26. Complete this sentence "I wish I had someone with whom I could share..."
28. Tell your partner what you like about them: be honest this time, saying things that you might not say to someone you've just met. 33. If you were to die this evening with no opportunity to communicate with anyone, what would you most regret not having told someone? Why haven't you told them yet? 36. Share a personal problem and ask your partner's advice on how he or she might handle it. Also, ask your partner to reflect back to you how you seem to be feeling about the problem you have chosen. Part 2. Set a timer for four minutes. Stare into each others' eyes for four minutes. It's OK to blink, but don't look away. Reflect on the experience. Which answer of your partner's was most striking or memorable? Are you surprised that you said some of the things you did? What did prolonged looking into each other's eyes feel like? WHAT IS THE METRO INDUSTRIAL AREAS FOUNDATION? Metro IAF is the nation's first and largest coalition of multi-faith organizations. They have seven decades of experience winning tough battles across the nation. Each individual organization is independent and non-partisan, and led by a strategy team of religious, lay, and community leaders. The local organizations, as well as Metro IAF, are funded by dues paid by member institutions (churches, temples, mosques, unions, business groups, schools, senior centers, etc.) and grants from foundations. IAF groups do not seek or accept government funding for their core operating budgets. WHAT ARE SOME OF METRO IAF'S ACCOMPLISHMENTS? Nehemiah Housing. Metro IAF successfully build more than 3,000 Nehemiah homes in East Brooklyn and another 1,000 Nehemiah homes in the South Bronx. Together with their partners, they have built or rehabilitated more than 1,000 affordable apartments. There are currently more than 1,300 homes and apartments under construction. Living Wage. Metro IAF initiated the living wage movement and passed the first living wage ordinances in Baltimore in 1994 and in New York in 1996. Living wage requirements have now been passed in over 200 municipalities across the nation and created wealth for millions of working families. New Small Schools and Construction. Metro IAF partnered with the NYC Department of Education to start four small quality public high schools and two charter schools, and create $300 million in school construction. Environmental Clean Up. Leaders in new Jersey launched and won two lawsuits that called for the Honeywell and PPG Corporations to spend almost $1 billion to remove toxic chromate waste from sites in Jersey City site. Some of the clean-up has been finished and new affordable homes have been built. Immigrant Issues. Metro IAF successfully organized to overhaul bilingual education in New York City in 2003, and passed the Dream Act in Maryland in 2012, which provided in-state tuition to immigrant students. Each Metro IAF organization is engaged on a wide range of issues. These issues respond to different local concerns and priorities. Metro IAF's most important accomplishment has been the development of thousands of leaders who were and are the driving force behind all the aforementioned campaigns and victories. Metro IAF sponsors two one-day and two five-day training sessions each year. They host leadership trainings for individual member institutions as requested. Read Going Public by Michael Gecan, an in-depth look at community organizing with Metro IAF. Request a meeting with an organizer. In honor of Martin Luther King Day and in keeping with the monthly theme of Justice, Sunday morning’s solo piano selections feature music by composers of African descent. CUC’s Choir will be on hand as well to offer a traditional South African song of freedom and a setting from the Old Testament dealing with peace and unity. Read on for programming details. *Translation: We are marching in the light of God. Category: Slogans to live by. Practices for everyone to keep in mind and pay attention to. These practices don't require setting aside a separate substantial chunk of time. Just have the intention to grow stronger in each of these areas as you go about your day, and sometimes make one of them the focus of your daily journaling. The titles of these practices are guiding slogans to live by. We all want to receive love. But maybe it comes in a form you don't want—perhaps someone offers romantic love but that's not what you're looking for—or it doesn't come at all. Then there is heartache and helplessness; you can't make others love you if they won't. Definitely, do what you can to get the love you need. But the practice here is about expressing love, distinct from receiving it. When you focus on the love you give rather than the love you get, then you're at cause rather than at effect; you're the cue ball, not the eight ball—which supports your sense of efficacy and confidence, as well as your mood. And it's enlightened self-interest: the best way to get love is to give it; even if it's still not returned, your love will likely improve the relationship, and help calm any troubled waters. Sometimes people worry that being loving will make them vulnerable or drained. But actually, you can see in your own experience that love itself doesn't do this: it protects and nurtures you when you give it. While you're loving, don't you feel uplifted and stronger? That's because love is deep in human nature, literally woven into our DNA. As our ancestors evolved, the seeds of love in primates and hominids—such as mother-child attachment, pair bonding, communication skills, and teamwork—aided survival, so the genes that promoted these characteristics were passed on. 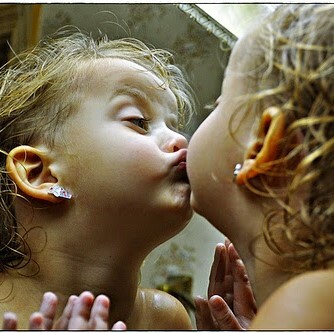 A positive cycle developed: As "the village it takes to raise a child" evolved and grew stronger, the period of vulnerable childhood could become longer, so the brain evolved to become larger in order to make use of that longer childhood—and thereby developed more capacities for love. The brain has roughly tripled in size since hominids began making stone tools about 2.5 million years ago, and much of this new neural real estate is devoted to love and related capabilities. We need to give love to be healthy and whole. If you bottle up your love, you bottle up your whole being. Love is like water: it needs to flow; otherwise, it backs up on itself and gets stagnant and smelly. Look at the faces of some people who are very loving: they're beautiful, aren't they? Being loving heals old wounds inside and opens untapped reservoirs of energy and talent. It's also a profound path of awakening, playing a central role in all of the world's major religious traditions. The world needs your love. Those you live with and work with need it, plus your family and friends, people near and far, and this whole battered planet. Never underestimate the ripples spreading out from just one loving word, thought, or deed! Bring to mind the sense of being with people who care about you, and then open to feeling cared about. Let this feeling fill you, warming your heart, softening your face. Sink into this experience. It's okay if. opposite thoughts arise (e.g., rejection); observe them for a moment, and then return to feeling cared about—which will warm up the neural circuits of being loving yourself. Sense into the area around your heart, and think of things that evoke heartfelt feelings, such as gratitude, compassion, or kindness. To bring harmony to the tiny changes in the interval between heartbeats, breathe so that your inhalations and exhalations are about the same length, since inhaling speeds up the heart rate and exhaling slows it down. 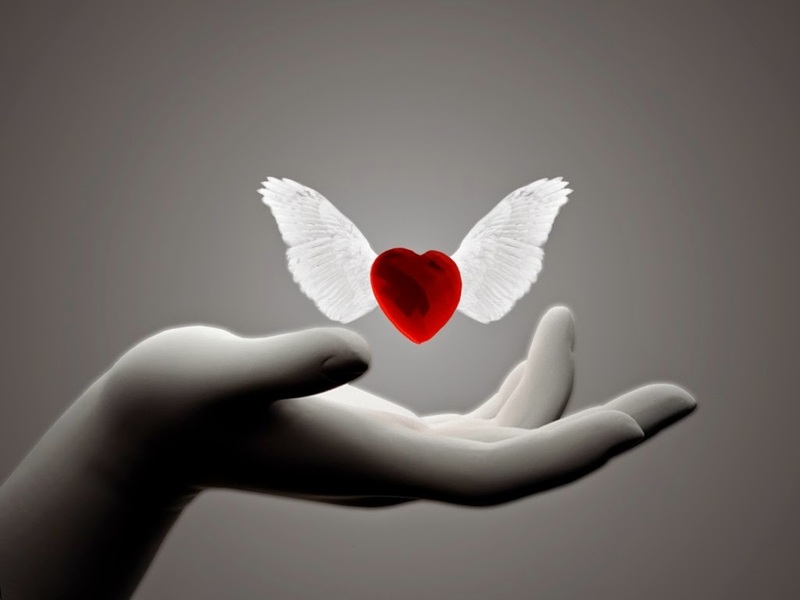 The heart has more than a metaphorical link to love; the cardiovascular and nervous systems lace together in your body like lovers' fingers, and practices like these will nurture wholehearted well-being in you and greater warmth for others. Strengthen these loving feelings with soft thoughts toward others, such as I wish you well. May you not be in pain. May you be at peace. May you live with ease. If you feel upset with someone, you can include these reactions in your awareness while also extending loving thoughts like I'm angry with you and won't let you hurt me again—and I still hope you find true happiness, and I still wish you well. There is a notion that being intentional about love makes it false or at least second-rate. But actually, loving at will is doubly loving: the love you find is authentic, and the effort to call it forth is deeply caring. To love is to have courage, whose root meaning comes from the word "heart." I've been in a lot of hairy situations in the mountains, yet I was a lot more scared just before I told my first real girlfriend that I loved her. It takes courage to give love that may not be returned, to love while knowing you'll inevitably be separated one day from everything you love, to go all in with love and hold nothing back. Sometimes I ask myself, Am 1 brave enough to love? Each day gives me, and gives you, many chances to love. If you choose just one thing from all these Practices of the Week -- let it be love. May I have a calm, clear heart and a peaceful, loving mind. May I experience joy and love, wonder and wisdom, in this life, just as it is. 2. Write down the name of someone who loves you and whom you love -- a spouse or a parent perhaps. Then slowly write these lines in your journal, filling in the person's name in each line, breathing into the words and feeling them as fully as you can as your sincere and ardent wish. May [name] have a calm, clear heart and a peaceful, loving mind. May [name] be physically strong, healthy, and vital. May [name] experience joy and love, wonder and wisdom, in this life, just as it is. 3. Write down the name of someone you have no particular feelings about, bad or good -- a clerk at a grocery store or your mail carrier perhaps. If you don't know their name, just write "clerk," etc. Then repeat writing the lines, filling in the name and breathing into the words and feeling them. 4. Write down the name of a difficult person -- an enemy or someone you find it difficult to deal with. Repeat the exercise, slowly writing the lines again, sincerely wishing them for this difficult person. May all beings everywhere be well. May they all, in their own ways, have calm, clear hearts and peaceful, loving minds. May they be physically strong, healthy, and vital. May all beings everywhere, each in its own way, experience joy and love, wonder and wisdom, in this life, just as it is. Rick Hanson, "The Neurodrama of Love"
Although widely welcome on the world’s concert stages as performers, women have only recently had widespread access to careers as composers. In recognition of our January theme of Justice, the work of female composers is featured in Sunday morning’s musical selections. Read on for more programming details. SLOGANS TO LIVE BY: Carry these reminders at all times. These practices don't require setting aside a separate substantial chunk of time -- but they will slow you down a bit (and that's a good thing.) Resolve to get stronger at living by these maxims, day by day. Sometimes make one of them the focus of your daily journaling. For those of us who have spent a lifetime rejecting our inner experiences, it’s not easy to change. When we form long-term habits of doing that, it can seem like a Sisyphean task to change and start practicing healthier responses. But experts in the field have found effective ways to accomplish this. Countless people have done it, and with practice, there’s no reason you can’t break the cycle of self-rejection. Step One: Agree to be willing to try another way. Step Two: Once the willingness is established, identify ways in which your old responses are attempts to reduce suffering by avoiding certain internal experiences. Step Three: Identify ways in which these entrenched and automatic responses have the paradoxical effect of increasing suffering. Once we understand this process, we have good motivation to practice acceptance. Following are some acceptance practices. Set an intention to consciously practice acceptance in your daily life—acceptance of your thoughts, your emotional state, your physical condition, and any other elements of your life you may be tempted to reject. When you’re feeling anxious or becoming aware of self-deprecating thoughts, put your hand over your heart area, accept the fact that these thoughts and feelings are occurring, and extend compassion to yourself. A method that works well for some people is to start a journal of negative self-talk. The healing value is in the writing; it’s not important to ever read the journal. Apologize to yourself. We commonly apologize to others for any negative, judgmental criticisms we may express; doing so helps maintain good relationships. Apologizing to ourselves makes for a healthy, nurturing relationship with ourselves. Make an agreement with yourself to be more accepting, appreciative, and understanding of yourself. Build your mindfulness skills. Practice mindful awareness of thoughts, beliefs, images, feelings, emotions, and sensations, including all sensory experiences regardless of whether they are based in the present environment—internal or external—or in a memory of a past sensory experience. Practice mindful awareness of the attributions or interpretations you put on what you’re thinking and feeling. Self-acceptance is best developed by being in relationships with individuals who are accepting and respectful of others. This applies to romantic relationships as well as work and play relationships. Make sure your relationships are healthy and supportive. Try starting a "daily nonjudgmental reflection" (as described in video of Michelle Charfen's TED talk). First thing in the morning, make two columns in your journal. In the first column, write down every judgmental thought you had about yourself the day before. Then reflect on the behavior about which judged yourself. What were you feeling and needing when you did that? Next to each judgmental thought you had, write down the feelings and needs you were having when you did the action you judged. Then write down what you might do next time, in a similar situation, to address those feelings and needs.